Beginning with our first moments on earth, we are enshrined with love. Cradled in the warmth of our mother’s arms, we are showered with tender, loving care, kindness, generosity, and pure joy. From the gentle coaxing and coaching of our first feeding, spoken words, teetering steps and other acts of self-expression, we are schooled by our mothers (dads too) in the ways of right and wrong, doing good, and being considerate of others so there is peace and harmony in the home. This is the way of civility which is all about treating others the way we want to be treated, caring about their feelings and comfort as we consider their humanity and dignity. Think about the many lessons to be learned in connection with family dining. They include meal planning and preparation, setting the table, sitting down to eat and enjoy polite conversation and finally the important act of cleaning up at the end. So often we can picture our mothers playing a nurturing role, gentling imparting the dos and don’ts of cooking, sharing, passing, receiving and applying self-control in our conduct and communication otherwise known as table manners or dining etiquette. At the center of this all important social skill is showing respect for self and the personal responsibility of being kind and considerate. This is the way of civility. Civility is a way of behaving and communicating that considers the feelings and comfort of others and concern for the planet. Civility embraces the principles of respect, restraint and responsibility (Forni 2008) and demonstrates acts of kindness, consideration and thoughtfulness regardless of our personal feelings or persuasion. Together, these basic principles and related acts of kindness and consideration help foster peace and harmony and support healthy relationships at home and away from home. They help us get along better by practicing simple everyday actions like paying attention, saying please and thank you, apologizing earnestly and being a good host or guest. The dinner table gives us a chance to practice etiquette and social graces that are at the heart of civility with many positive results. 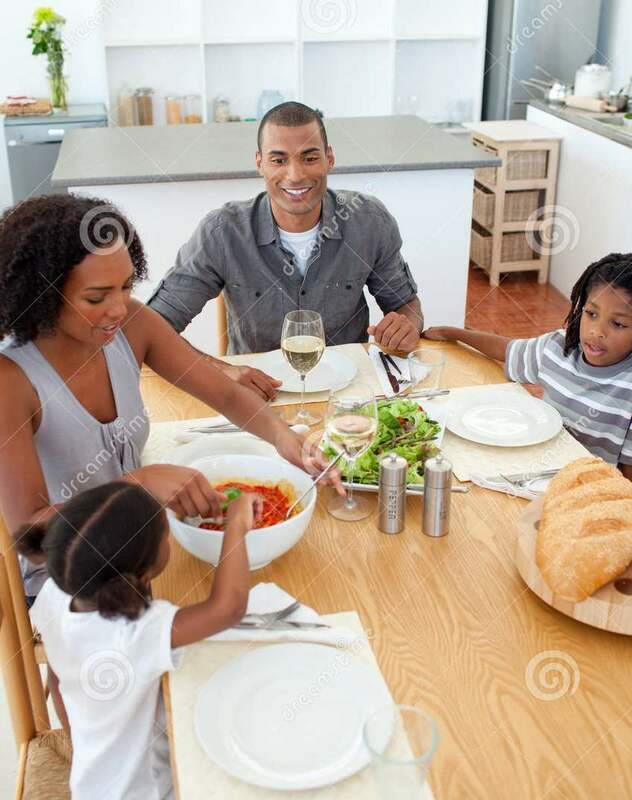 Research studies conducted by The National Center for Addiction and Substance Abuse (CASA) at Columbia University, reveals that when families dine together regularly, the children are less likely to abuse drugs and alcohol. CASA is responsible for starting National Family Day: A Day to Dine With Your Kids. This day is celebrated on the fourth Monday of September (this year, September 22, 2014). Consider making this a day start or renew the practice of family dining and at the same time embracing civility in your home. Celebrate civility in May and all year long. Yasmin Anderson-Smith is a coach, trainer, speaker and co-author of The Power of Civility and founder of Discover Civility education initiatives. More at http://www.kymsimage.com.